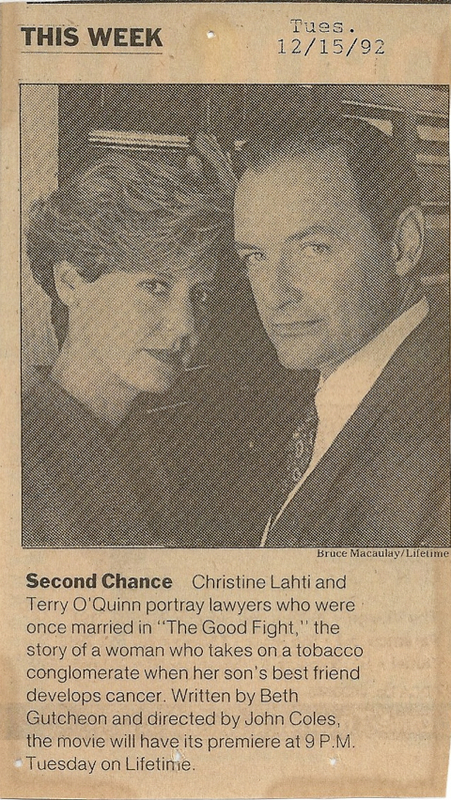 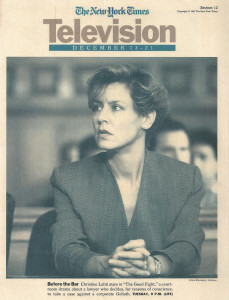 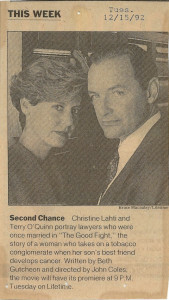 In spite of near-fatal stage fright, Beth gave the commencement address to the class of 2006 at Miss Porter’s School in Farmington CT.
Back in 1992 The Good Fight made the cover of the NYTimes Television section. 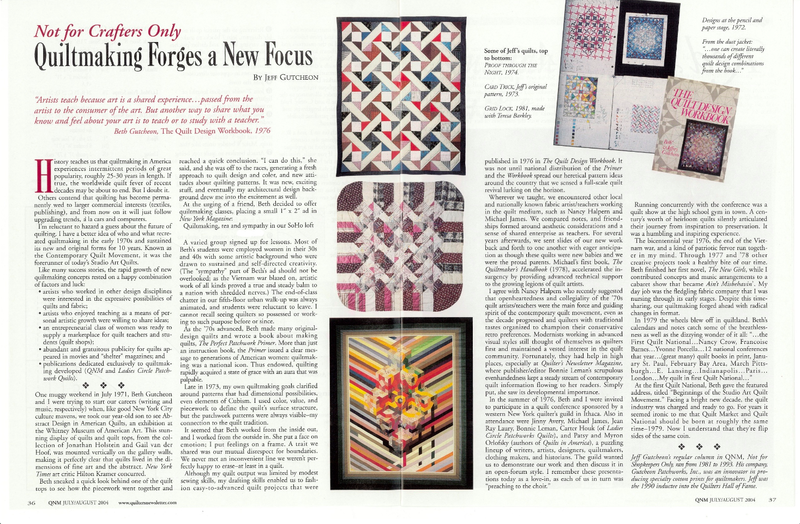 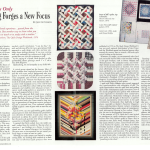 If you’re interested in Beth’s beginnings as a Quilter, check out this feature in Quilter’s Newsletter Monthly. 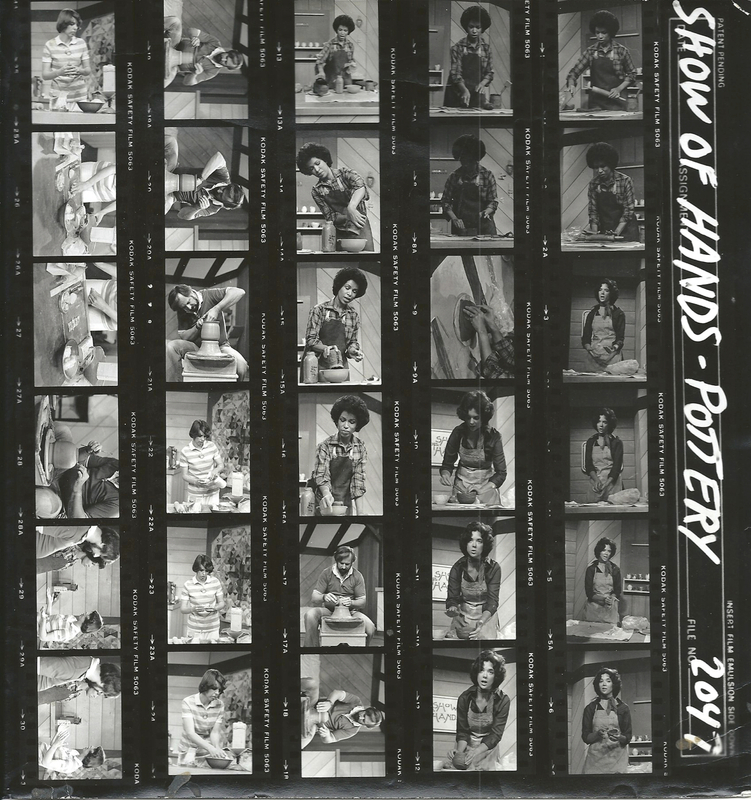 From the vault…in 1977 Beth developed and co-hosted (with Emma Amos) Show of Hands, a crafts show for WGBH Educational TV in Boston, which ran for two years. 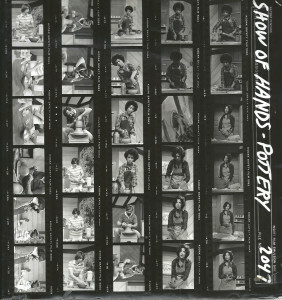 Here are some stills from filming. 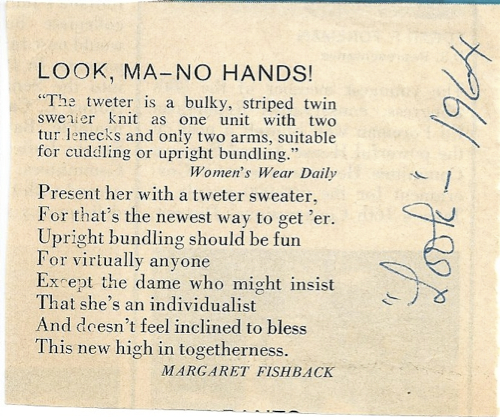 How’s this for a fun fact?! 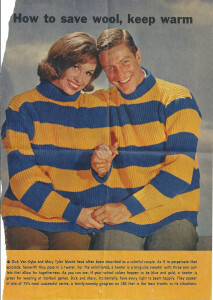 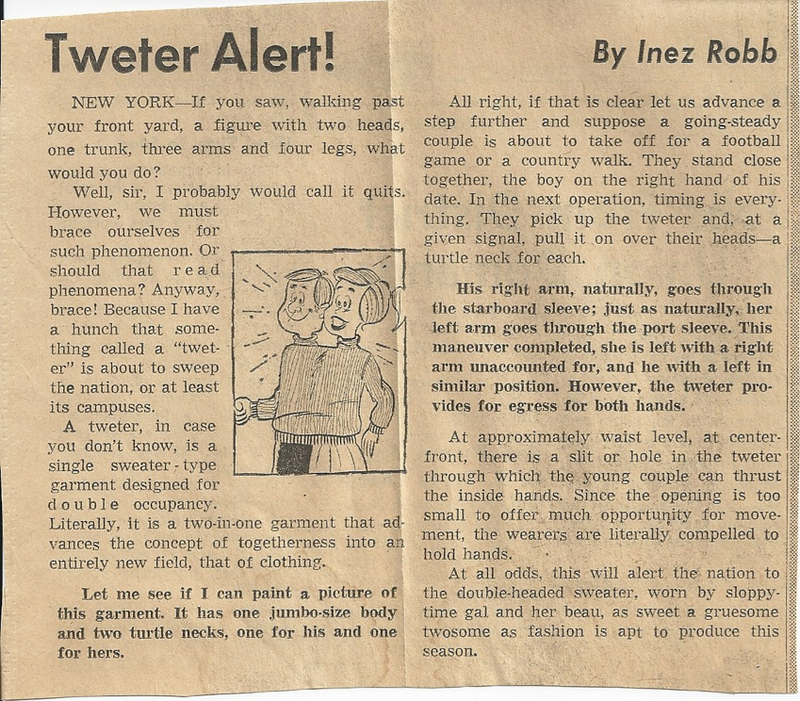 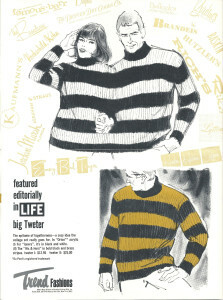 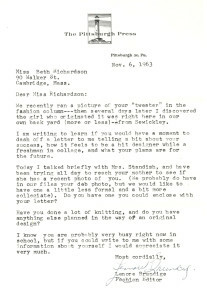 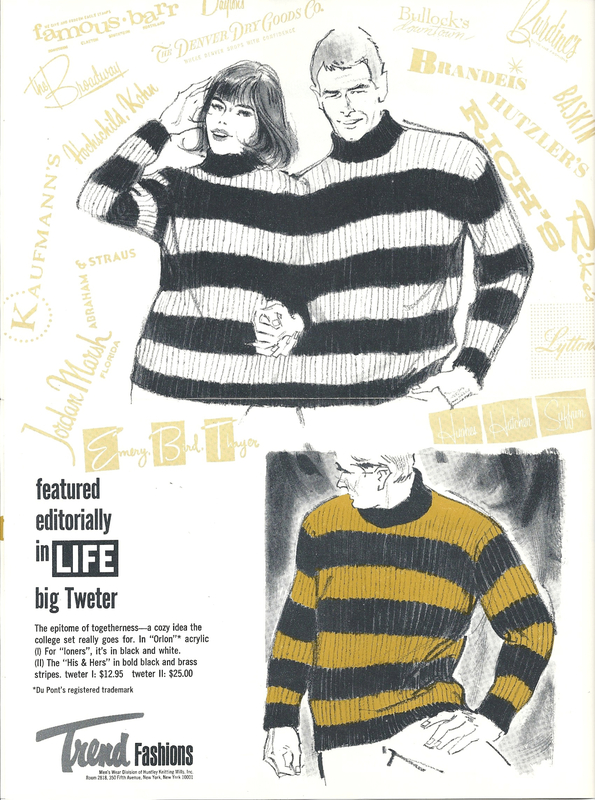 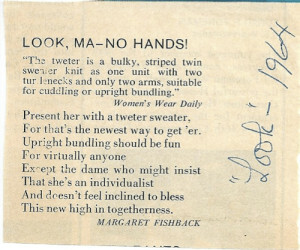 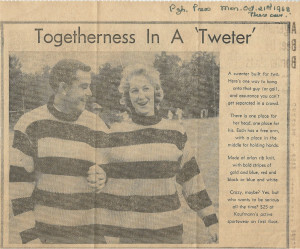 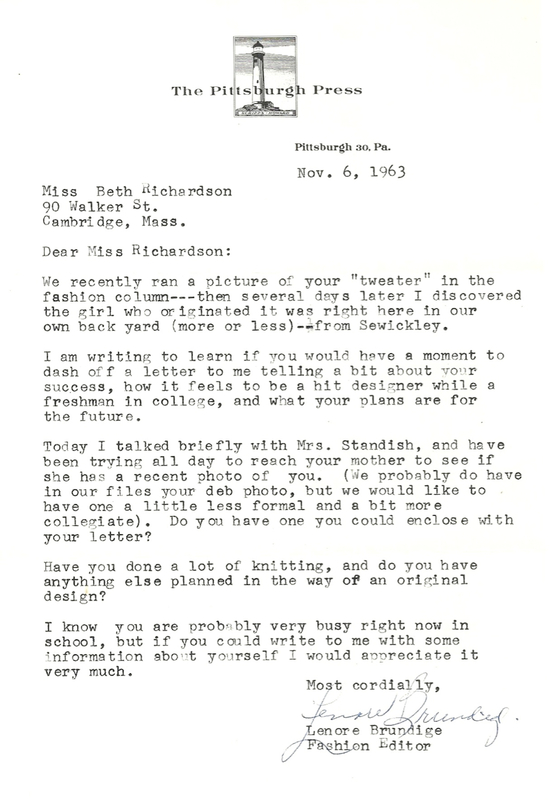 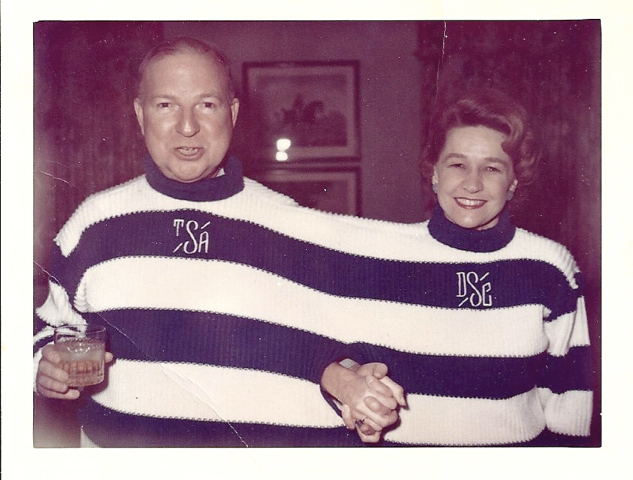 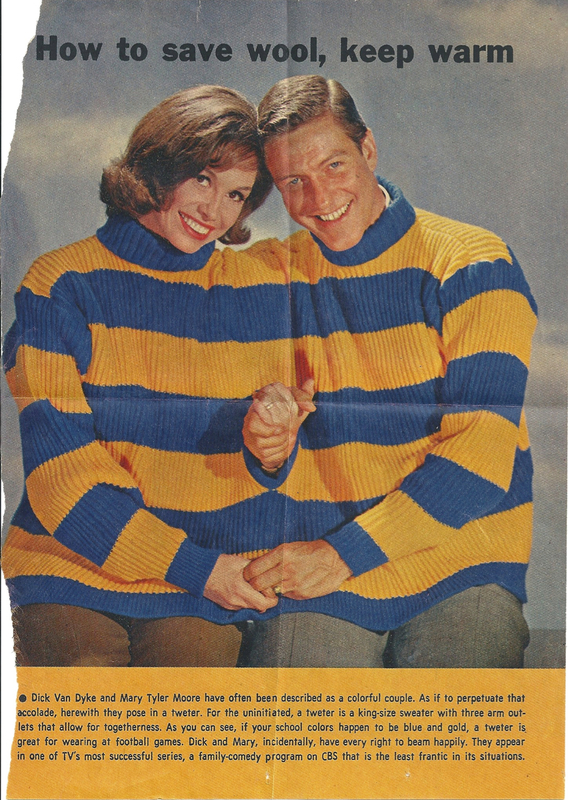 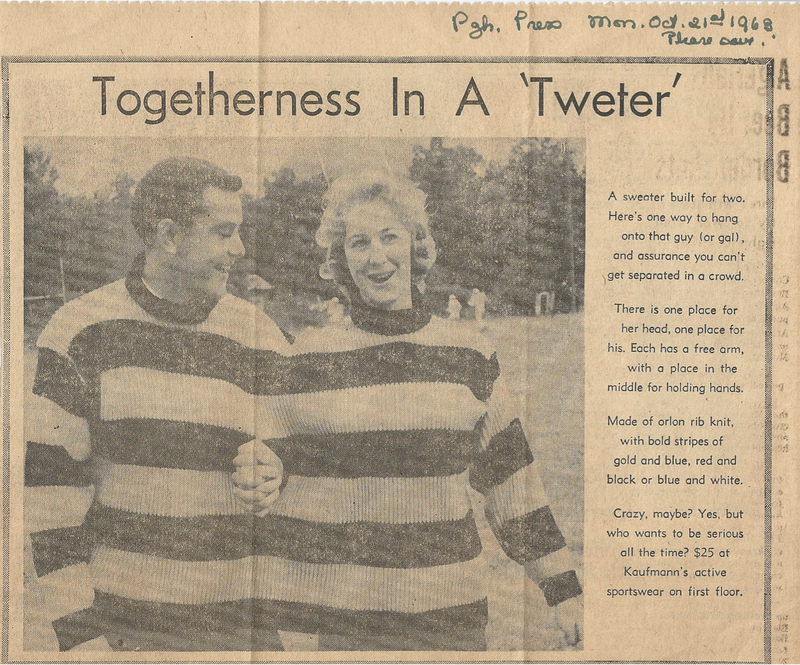 In Beth’s high school days she designed and copyrighted the concept of a “Tweter” – a two-person sweater – that had a moment as a cultural zeitgeist. 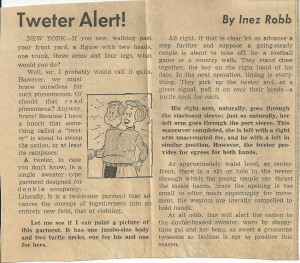 Below are a few examples of the Tweter in different publications. 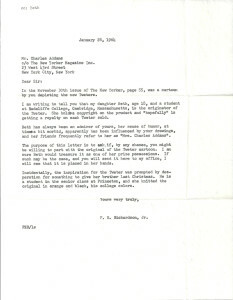 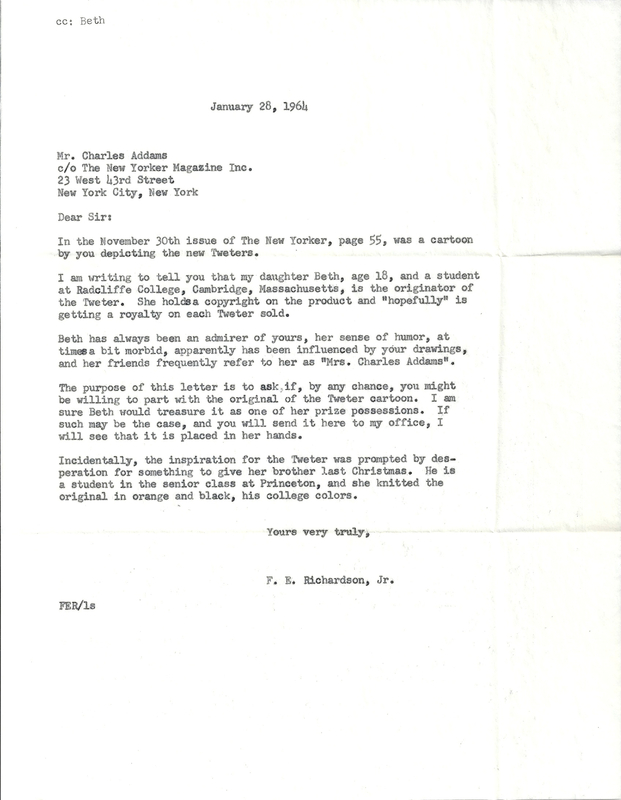 And some fan mail from Beth’s father to New Yorker cartoonist, Charles Addams.